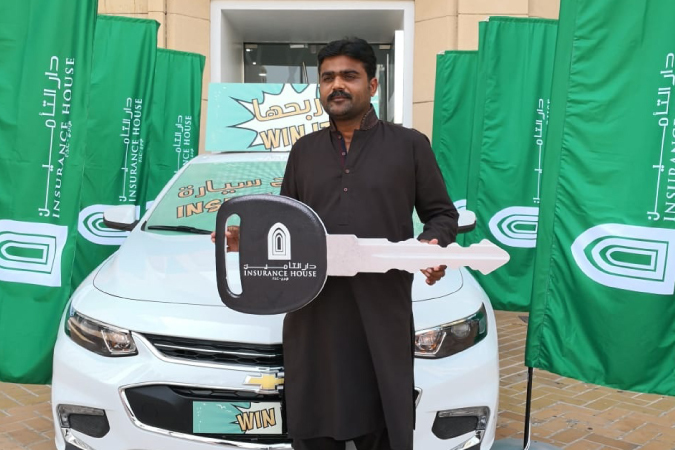 Insurance House P.S.C (IH) handed over two brand new Chevrolet Malibu 2018 to the first and second monthly winners of the “Insure & Win” Raffle Draw. The first Raffle Draw was conducted on 1st of July 2018 and Amin Shah Said Mat was named as the first winner. We conducted the second draw on 5th of Aug. 2018 and named Husnain Aslam Awan as the second winner. Both Raffle Draws were carried out at Insurance House Muroor Branch under the supervision of an official representative from the Department of Economic Development, Abu Dhabi.